This we pledge to you. The workmanship involved in the repair of your vehicle has met our very demanding and exacting standards for quality...every step of the way. At Anderson Behel, you will find we are specialists in customer satisfaction. OUR WARRANTY: We here at ANDERSON BEHEL BODY SHOP would like you to have the best possible repair job. The repairs that have been performed by ANDERSON BEHEL BODY SHOP, as listed on the repair order, are guaranteed for as long as you own your car. Other items on the repair order such as Parts are subject to the Guarantee of those suppliers. Sublet Labor is guaranteed for (1) one year. Parts or materials used will be of the finest quality obtainable and will be subject to the guarantee of that supplier. We will assist you in making any claim under the supplier's guarantee. Used parts will not be utilized unless specifically authorized. Any Body or Paint work covered by this guarantee will be redone at our expense, or at our option, a refund or adjustment of the purchase price for that portion of the work in question. Rust repairs are not covered by this or any other guarantee. Any failure due to improper repair work by others, lack of maintenance, additional accident, theft, or vandalism damage, or from normal wear and tear, are excluded from this guarantee. This document which is nontransferable, is a complete and exclusive statement between customer and repairer, and contains all the representations of the parties. This guarantee shall not be varied, supplemented, qualified, or interpreted by any prior course of dealing between the parties or by any usage of trade. Unless specifically stated in this guarantee, no agent, employee, or representative of, has any authority to bind ANDERSON BEHEL BODY SHOP to any affirmation, representation, or warranty concerning the repairs made on the attached repair order. There are no warranties that extend beyond the description on the face of this contract. This guarantee will only be honored at ANDERSON BEHEL BODY SHOP, 750 Aldo Avenue, Santa Clara, California. 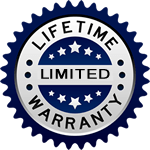 Specifically excluded are incidental costs, such as towing fees, car rental charges, travel expenses, or assemblies and components which are not specifically covered by this LIFETIME LIMITED WARRANTY.